Arriving in shops now from Antihero is Where Are They Now?, a bad trip down memory lane. Each takes a memorable graphic from yesteryear and fast forwards to today…it ain’t pretty. 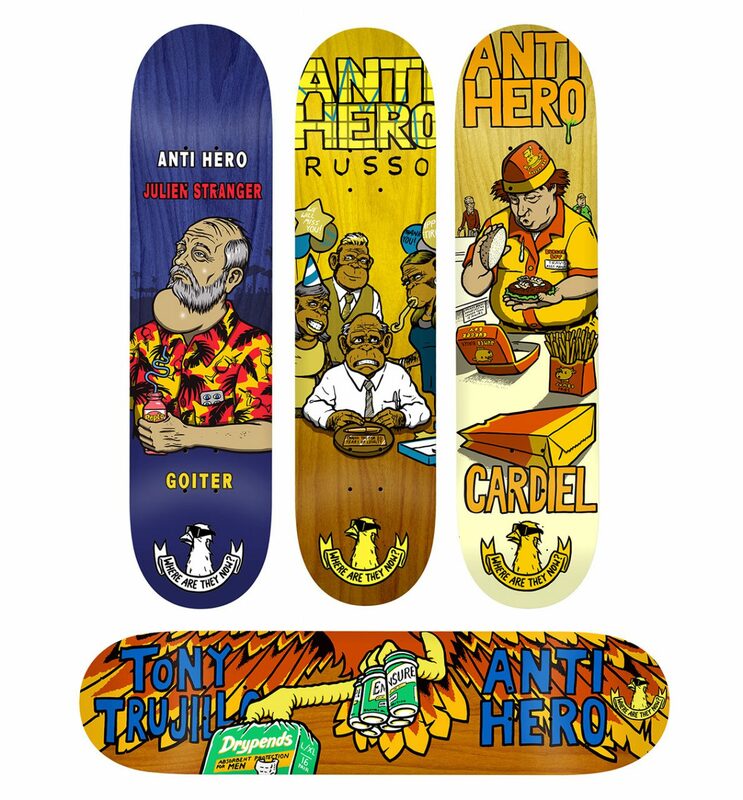 Decks for Julien, Russo, Cardiel and TNT, these were created in conjuction with Vans-sponsored Worst of the Worst art shows currently underway.